You’ve got a hyper Beagle on your hands. They might be running around like crazy all day, in which case you need a great toy to keep them from chewing on your furniture or from running wild around the house. Luckily, some of the best dog toys for Beagles can be found online. These toys often withstand chewing, tugging, and constant play to help give your Beagle a play time they will never forget. 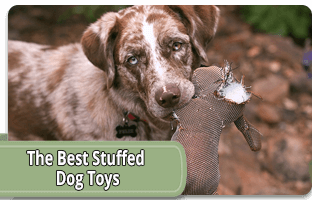 In this article, you will find the top ten best toys for Beagles and Beagle puppies. We’ve included a quick list of pros and cons and a brief description of each to help you in your search. 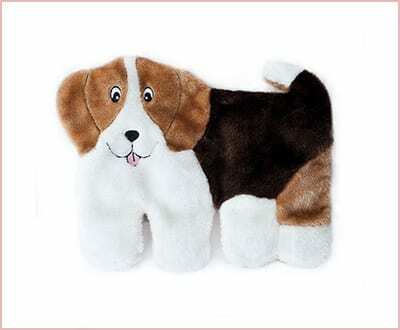 One of the best toys for beagle puppies, this plush toy is made to look just like your pup. Luckily, it doesn’t have any stuffing inside, so your dog can’t spread the toy all over your house. The toy also includes 11 large squeakers, so your beagle has hours of super funny playtime with it. One of the squeakers is a large blaster squeaker for added enjoyment. This toy helps to encourage healthy chewing and gnawing to keep your puppy’s teeth and gums healthy. It is equipped with a hollow interior where you can put in your pup’s favorite treat, so they have something to work for. 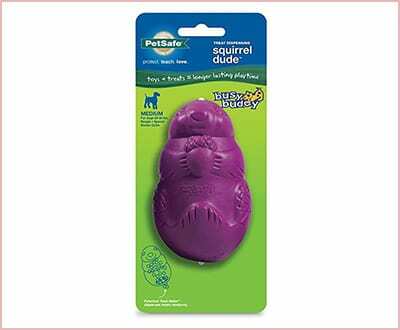 You can even put a special doggy toothpaste inside the toy to help brush and freshen your pup’s teeth while they play. Supervision is recommended while your pup plays with this toy. This is one of the best dog toys for Beagles, since it is made for medium sized dogs. This treat toy is made from a durable rubber material that retains its shape no matter how long you put treats inside. 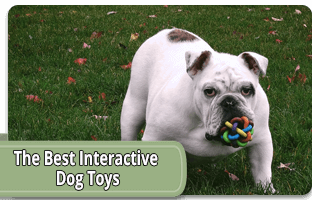 Your pup can play for hours with this toy trying to find the treat inside. Moreover, the toy is non-toxic and lab tested for your pup’s safety. There’s even no chemical smell to it. For a fun and exciting playtime, these elk antlers are ideal for encouraging healthy chewing. This is one of the best dog toys for Beagle puppies since it is a small antler. 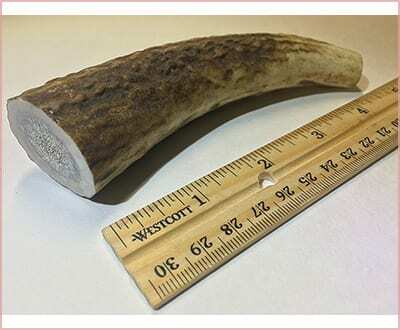 It is a real antler that is high quality and sure to last your pup for a long time. It has been weighed and measured for the best fit for your pup as well. The antlers are all wild and never sourced from elk farms. 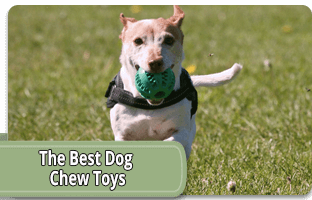 For a great tugging option, this toy is one of the best dog toys for Beagles. The lightweight material is perfect for throwing and fetching, but the durability of the rubber doesn’t become damaged or damage your pup’s teeth while they tug and chew. 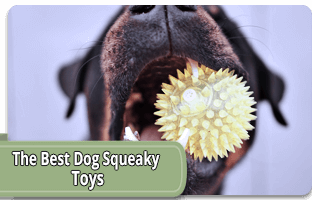 You can use this toy to train your pup, or simply to help them expend some energy. It comes with two rings for added fun. Durable and fun, this dog toy is perfect for hyperactive Beagle pups. The ball has several funky additions to make it bounce in random directions for Beagles that love to play fetch. 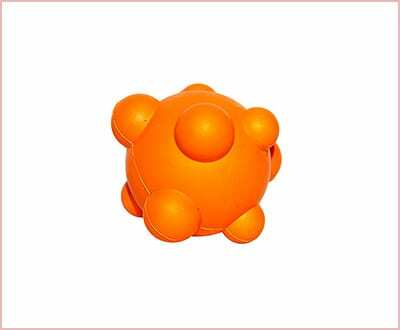 This ball is made from natural rubber, and it is ideal for strong chewers. Luckily, this toy has been tested for health and safety for your pup, which is one of the reasons why it is on our list of best dog toys for Beagles. Made from a non-toxic composite, this toy is made to resemble rubber in durability and feel, which is ideal for Beagles of all ages. Another interesting thing about this toy is the floating ability, which makes it great for pool or lake play. It also has squeakers inside for added fun for your pup. The toy is sized just perfect to fit all dog sizes no matter how big or small. For a more exciting fetching experience, this ball takes the cake. 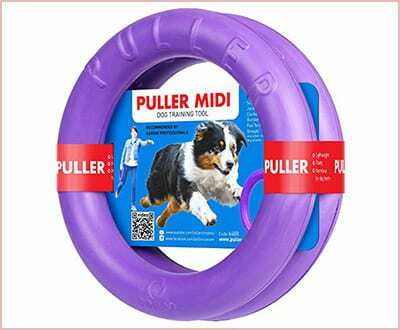 This toy bounces in many different directions, so your pup has no idea where it will go next. It is also ideal for their chewing, since this toy is made with teething puppies in mind. This toy is made from natural rubber for durability. Thus, it does not have the strong smell and taste of manufactured rubber, and has been tested for safety. Great for playing tug of war, and for fetching, this toy that ranks second on our list of best dog toys for Beagles has it all. 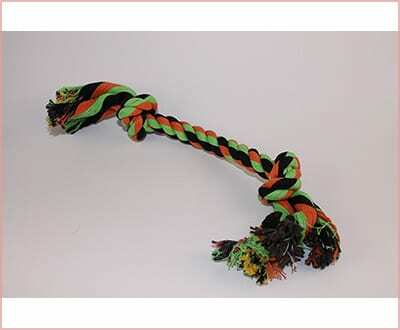 The tough rope material is great for Beagle pups who love to tug. The fibers on the rope help clean your dog’s teeth while they play, and the knotted ends are great for encouraging healthy chewing habits. 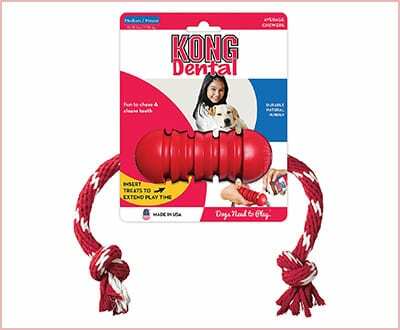 This rope toy is ideal for aggressive chewers, and the 100-percent pure cotton is great for your pup’s teeth. 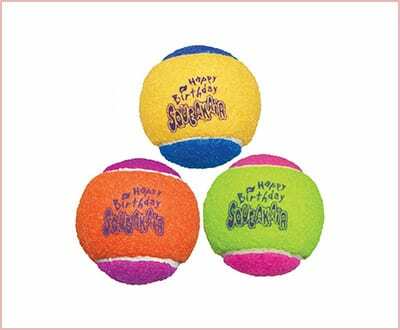 These tennis ball-like toys are colorful and great for fetching and chewing. You can help your Beagle pup expend some energy with these bouncing balls. They also have a squeaker inside for added fun. The fabric covers the ball to protect your dog from ingesting the squeaker. It even comes with three balls in the package for lots of play times. Beagles, especially Beagle puppies, are full of energy and excitement. They love to run, play, chew, and tug. However, when their play becomes too much, and they are getting into trouble, there is a way to encourage playtime without destroying your home. We have included ten of the best dog toys for Beagles in our review to help you live peacefully, and help those pups get out some of their energy. If you have other suggestions of best dog toys for Beagles, leave us a comment down below.